A1 Practice on hobbies and Present Simple. Once the activity is completed, it can be used for speaking purposes. Students can speak about their favourite activities or the free time activities they don't like. Key provided. The present downloadable printable is a great resource for high school students, elementary school students, adults and students with special educational needs, learning difficulties, e.g. dyslexia at Elementary (A1) and Pre-intermediate (A2) level. 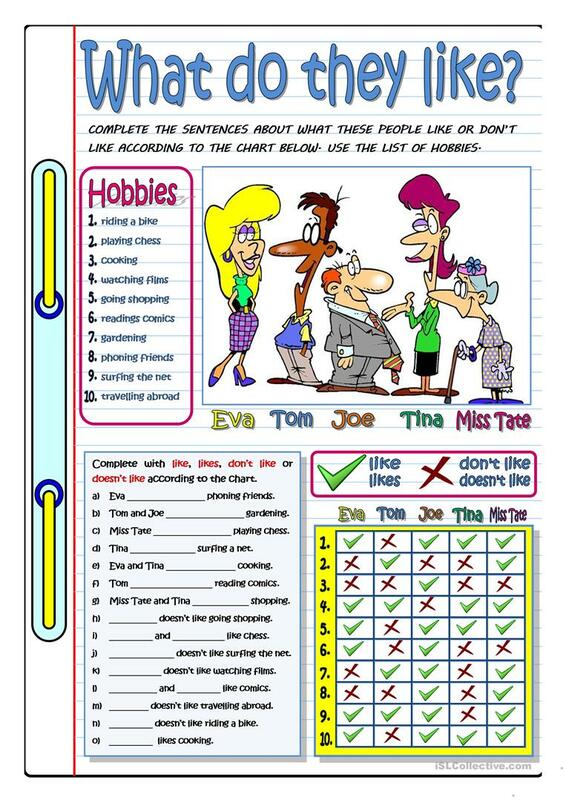 It is a useful material for teaching Present simple tense in English, and is a valuable material for strengthening your groups' Speaking, Reading and Writing skills. It centers around the theme of Hobbies.